As you look across the ag tech landscape, the number of companies vying for farmers’ attention seems to continuously be on the rise. It’s also creating fatigue. As an early adopter of ag technology, Tom Farms has embraced a number of innovations from their humble beginnings. Learn more about Solinftec opening a US HQ in Indiana. For example, Tom Farms recently began working with Solinftec. The Brazilian company has developed a farm operating system with a suite of apps that tells equipment operators where and when they need to be. While the Indiana-based operation is pleased with the results it’s seeing from the Solinftec technology, not all of what they’ve tried has been successful. Through a lot of trial and error, Tom says they quickly learned what they needed to look for in a new technology. What it comes down to, explains Day, is as farmers sift through the myriad start-ups, they must decide whether it is a nice to have or a need to have solution. It’s a question Better Food Ventures asks every time it evaluates a company. Established in 2013, the California-based investors who make up Better Food Ventures look to identify and invest in companies that can improve the performance of the food and agriculture industries through the application of information and communications technology. “We always ask ourselves whether it is a vitamin or a pain pill for the end user,” explains Day, who has more than 15 years of investment, mergers and acquisitions advisory and technology experience and concentrates on production agriculture like in-field as well as post-harvest technologies. The other issue, she adds, is that the ag tech sector has forced farmers to be the systems integrators. For the team at Moore & Warner Ag Group, there are three key questions they consider when evaluating the viability of a start-up. Is an actual farmer(s) part of the co-founding team or in senior management? What are the in-field, at-scale experiences and case studies? “Forty acres of trial in California is nice, but what about 5,000 acres in the Midwest?” explains Jonah Kolb, vice president at Moore & Warner Ag Group in Clinton, Illinois, where he leads business development and consulting initiatives. Kolb works with private and institutional investors building direct farmland portfolios and advises start-ups, private equity, and venture capital funds pursuing opportunities in production agriculture and agribusiness. Is there an in-person local/regional support team in place? In 2019, Kolb says they expect more traction on farm management systems/ERP as providers have improved products, prices have come down for smaller operations, and farmers, including a millennial generation increasingly involved in management, are more focused on enterprise management. In addition, he notes that there will be more interest in grain marketing programs and solutions. “Marketing discipline and strategy really set farm operations apart in 2018, and there seems to be a greater interest in using technology to help execute marketing programs,” he says. No matter where you sit on the ag tech adoption curve, below are eight ag tech start-ups worth watching in 2019. Background: Founded in 2017, FarmOp Capital focuses on farmer’s ability to grow an efficient crop, rather than the value of the land they grow it on, as the basis for working capital loans. Beginning in crop year 2019, the start-up is offering operating lines of credit giving producers the lending independence they need to run their operations more profitably. For years, ag lending has relied on balance sheets with hard assets backing operating lines of credit for farmers who own land, explains Keir Renick, cofounder and CFO of FarmOp Capital. Because these farmers don’t have enough hard assets to back the size of loan necessary to plant a crop, in many cases, they become more challenging customers for their current ag lenders. “We are filling the needs of an underserved customer by providing these farmers with working capital loans, which gives them greater independence to run their operations,” says Renick. Background: Launched in 2016, Trace Genomics is a highly scalable software and analytics platform that uses gene sequencing, artificial intelligence, and a growing database of microbial species to identify and profile the soil microbiome. 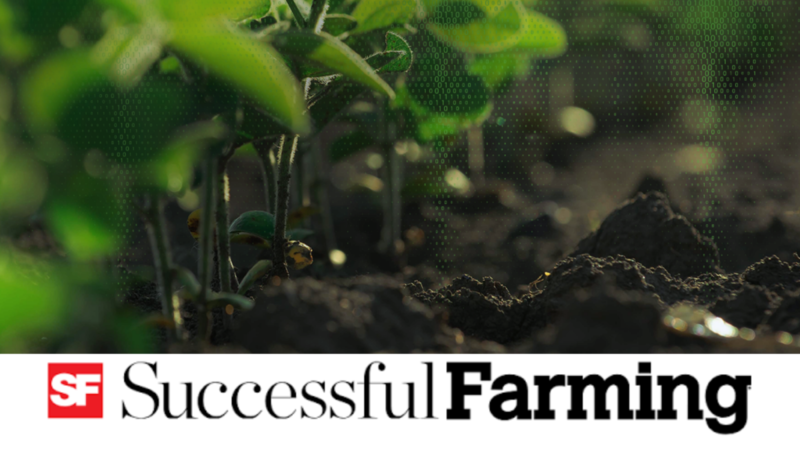 It then provides actionable insights like how to achieve more efficent nutrient use, how to reduce input costs, how to reduce crop disease risk, and which seeds, rotations, or biological agents will work best. Funding: The company recently closed a $13 million Series A round, which is its first significant round of venture capital financing. Background: EarthSense is developing ultra-compact autonomous robots (TerraSentia) that use machine learning to monitor and manage problems in field, specifically to identify weeds and chemical-free methods of reliably eradicating weeds. During its 2018 Early Adopter Program, the company sold 25 robots. The 2019 model of TerraSentia weighs 30 pounds, is 11 inches wide and 20 inches in length. It travels autonomously in the field using GPS and other sensors. It collects data using three RGB cameras and other optional sensors, including LiDAR. It will cost $15,000 for an annual lease and will include an RTK GPS unit and two LiDARs. Funding: The start-up has raised $50,000 in funding. Background: Founded in 2007, Solinftec is a farm operating system that uses a suite of apps that tell equipment operators where and when they need to be. It can also provide a verifiable harvest record and trace product from the farm to the point of sale without any human input. The company offers a full stack of solutions that farmers can choose from, which range in price from $3 to $10 per acre per year. Padrao says it’s important to highlight that a great deal of thought went into its pricing to deliver a very clear and fast payback for farmers. Solinftec recently established a headquarters in the U.S. at the Purdue Research Park. The company says the West Lafayette, Indiana, location gives them access to farmland as well as the talent from Purdue University. It also plans to open regional offices close to farmers. According to Solinftec, the U.S. expansion will create 90 jobs by the end of 2019 and more than 300 jobs by 2022. Background: Founded in 2012, Understory has developed weather stations that collect hyper-local weather data like hail, wind, rainfall, and temperature, which can be placed in fields to assist in data-driven field decisions. The stations are solar-powered, maintenance-free, and built to last up to 10 years. Understory is able to correct for what is being provided in the public realm through satellites and radar – making it more precise and accurate – by fusing it with the insight gleaned from its ground-based stations. The start-up has partnered with Monsanto, and now Bayer, to bring its customers Understory’s weather data to facilitate data-driven, field-based decisions like when to irrigate or when to harvest. The information is provided to farmers free as part of their direct agreements with Monsanto. Funding: The start-up has raised approximately $17 million. Background: Through its proprietary sensor that collects data on the grain’s condition, TeleSense is using the Internet of Things (IoT) to continuously monitor temperature and moisture in stored grain. GrainSafe will be available for large grain elevators and co-ops this year. In 2020, when the product is cost-optimized, the start-up will focus on midsize to large farming operations. As the sensor price continues to drop, TeleSense anticipates it will go after the remaining ag segment in 2021. Funding: TeleSense, which was founded in 2017, has raised around $6.5 million. Background: Founded in October 2016, American Robotics has developed a fully automated, self-charging drone system that is capable of functioning independently for multiple seasons. Once the start-up’s DB1 Drone Stations are installed, a fleet of connected, weatherproof Scouts function autonomously in the field, seamlessly delivering health reports regularly and reliably. The ScoutView software allows customers to schedule surveys, review imagery, and manage alerts. The company’s proprietary automation technology allows it to structure sales of its system as a Robot-as-a-Service (RaaS), which means everything from hardware to drone software to image processing to analytics is included in a low-cost annual subscription. “Scout has upended the previous user experience with drones from cumbersome time-sink to value-adding robotic staff,” says Mozer. In the summer of 2018, Scout was deployed in a series of extended in-field pilots on farms, agriculture co-ops, and input manufacturers across the U.S. Demand to participate was high, and a wait list already exists for a limited release in 2019. Funding: American Robotics has raised over $3 million. Background: Unpredictable weather and other environmental factors can prevent up to half of the synthetic nitrogen fertilizer applied to fields from being efficiently used by plants. Pivot Bio’s new solution to the age-old nutrient absorption issue comes in the form of nitrogen-producing microbes. Pivot Bio PROVEN adheres to corn roots and applies nitrogen daily throughout the growing season. It is easily integrated into farmers’ existing practices and gives them confidence that their corn crop is receiving the necessary nitrogen needed for growth and development, especially between the corn plant’s V6 to R4 growth stages.The result is more productive and predictable crop yields for farmers without nutrient degradation or runoff into waterways. Pivot Bio PROVEN is available for 2019 planting and is sold in select states directly to farmers. Visit info.pivotbio.com/grow-with-us to learn more. Funding: Pivot Bio funding has reached $86.7 million.